In today’s highly dynamic and fiercely competitive marketplace, every restaurant needs an influential mobile app to keep customers engaged and acquire new clients. As per research made by Olo, online and in-app ordering has helped restaurants increase their basket size by 25%. Hiring a seasoned app development company is one of the easiest ways to build a customer-centric mobile app for your restaurant. 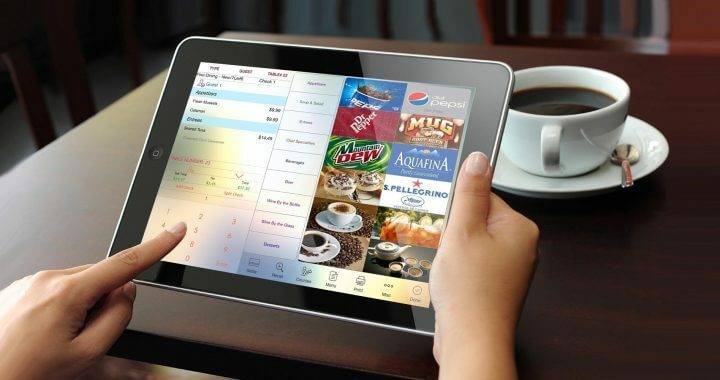 But it’s not that easy to create an ideal mobile application that allows you to improve your sales as well as facilitates smooth management of other aspects of your restaurant such as ordering system, table reservations, waiters, ingredient purchases, etc. To make this challenging task a bit easier, let’s explore the most significant features that you can incorporate in your restaurant app and make it useful for your customers and efficient for your business. The feature that lets customers order food online through an app prevents them from the pain of waiting in long queues for their orders to be taken and processed. Also, it is a good idea to incorporate the feature through which the customers can pay for their orders in advance with the help of the app. These features are not only convenient for your customers, but they also enhance your capacity to handle orders with accuracy and efficiency. You can gain a unique edge over your competitors by incorporating this specific feature into your restaurant app. It’s not enough to build an app for your restaurant. But it’s equally important to make people notice it – this would be possible only if your app is easily accessible on multiple platforms such as App Store and Google Play. This feature lets you target a wider customer base which in turn results in increasing downloads. But you have to ensure that the quality of your restaurant app is seamless across all platforms – this you can achieve by taking help of an experienced restaurant app development agency to design and build your own software for restaurants. Notifications are powerful tools that you must use in a sophisticated and subtle manner. These notifications can be invaluable to your restaurant as they remind potential customers of various discounts and happy hours they can avail at your outlet. But it’s essential for you to manage these notifications smartly and logically. For instance, sending a reminder at midnight isn’t advisable. Instead, ask your clients the preferred mode and time in which they want to welcome such messages. Make your notifications add value to your customers’ lives. In order to encourage potential clients to download your restaurant app, you can provide them with promo codes, exclusive discounts, and special offers. Once downloaded, it becomes much easier for you to grab their attention by notifying them about hot deals or happy hours at your place. This is a great strategy, especially if you’re just starting a new restaurant and want to build up your customer base. The ultimate goal of your restaurant is to acquire and retain loyal customers in the long-run. You can achieve this by rewarding loyal app customers with extra points and exclusive deals. High loyalty points encourage customers to choose your restaurant over others because they will feel excited about the reward they will be getting in the end. Also, they will feel connected to your outlet. You can reward your customers with exclusive incentives when they refer your restaurant app to their family members and friends. Also, you can give them extra points for social media sharing. You can also use different location-based services such as beacons or geo-fencing for engaging with potential customers even before they step physically into your restaurant. These services showcase your restaurant to the nearby people and make them aware of the place. Also, you can also use location-based services to share exclusive deals, offers, discounts, menu modifications, and other news related to your restaurant with potential clients and encouraging them to visit your outlet for availing the same. It is essential for your restaurant mobile app to provide the customers with an advance table booking feature. A table booking feature will prevent your customers from the trouble of waiting in long queues and getting a table after much frustration and stress. They can feel relaxed and comfortable as their seats are pre-booked and can enjoy their meal peacefully. The feature of seamless staff management is essential to enhance the efficiency of your restaurant staff. With the help of this feature, you can easily monitor your staffs’ performance. Also, you can supervise that your eatery is never under or over-employed – this will help you to realize the optimum potential of each of your employee and serve the customers in a better way. Also, there should be a feature of kitchen management in your restaurant mobile app. This feature is mandatory for management of your restaurant to ensure proper coordination between waiters and chefs so that to avoid any misunderstandings and fulfill orders quickly. Also, it helps chefs in preparing orders in a specific sequence and achieves maximum result with minimum errors. You can personalize your restaurant app in such a way so that it is capable of tracking and analyzing the customers’ details. This feature also allows monitoring user behavior and preferences so that to gain useful insights and improvise the products and services accordingly. This feature also helps in retaining current customers by providing them with what they want. Also, this feature prevents them from performing the tedious task of searching for their favorite restaurants or dishes again and again. This feature is an integral one for a restaurant mobile application. It allows customers to take pictures and share their individual experience with your restaurant on their social media platforms such as Instagram, Facebook, SnapChat, Pintrest, etc. These are keystones of your restaurant marketing efforts. Besides, social media platforms are an excellent means for promoting exclusive deals and discounts your restaurant is offering to the customers. Social media will help you in acquiring new customers and converting them to be your frequent guests. You can use chatbots efficiently into your restaurant app so that to cater to the generic queries of your app users. This feature is unique and can prove to be the cherry on the cake for your restaurant app. It is mandatory to incorporate the feature that allows the customers to give their feedback and reviews about your eatery. With the help of feedback, you can gain useful insights and make necessary changes to your app. To enhance the user experience, you can also include a feedback portal where customers can give their unique suggestions and share their experience in detail. Later on, you can use these suggestions and improvise the quality of your app. Depending upon your specific business needs, you can customize your restaurant app in such a way so that it proves to be a perfect fit for your customers as well as a driving force to improve sales and profit. 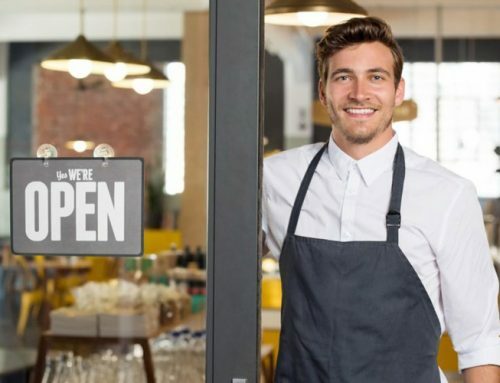 This article was published by our business experts and POS specialists at https://www.posusa.com. Point of Sale USA has been in business since 2011 and has helped thousands of customers find and compare POS solutions and merchant services to get the best prices. For more information about the POS industry, we invite you to Like POS USA on Facebook and to Follow Point of Sale USA on LinkedIn.